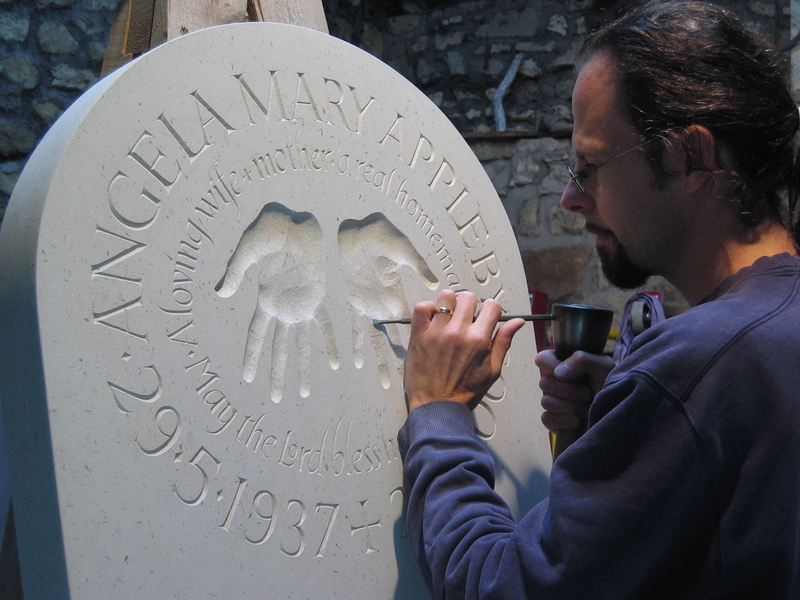 I am a sculptor with 20 years experience in stone carving and a passion for lettering. I live and work near Bath in the South West of England. I make memorials, house signs, gifts and sculptures to commission. I specialise in a creative approach to memorial design, using hand carved lettering and carved imagery, but I also make traditional headstones and cremation tablets, beautifully. I design and make distinctive hand carved house signs, date stones, and garden sculptures and I make gifts for celebrating rites of passage. I also make inscriptions and sculptures for for the public realm. I have made work for Memorials by Artists and the National Trust, and I have work in the Art and Memory collection. I design and carve my own letters by hand, because I want them to be human, full of life, and distinctive rather than mass produced. I love stone, and the language of the chisel. fantastic, can’t wait to see the final piece!